Does this mean there's a new Rift on the way? When Oculus announced the Rift would launch at $599—or $799 with the motion-tracked Touch controllers—the Internet-at-large rioted. Years of Palmer Luckey's promises to hit a $350-400 price sticker with the first consumer model were undercut in an instant. But it’s put up or shut up time for the holdouts now. Oculus announced the “Summer of Rift” this morning, slashing $200 off the cost of Rift and Touch—meaning you can now get the full bundle for that mythical $399 "for a limited time." That’s a damn good price. I personally think the HTC Vive is a better system, even if its wand controllers don’t hold a candle to Touch—the Vive’s tracking is more consistent, and with the addition of the Deluxe Audio Strap it’s also a more comfortable headset. You’re still paying nearly $900 for the privilege, though, almost a year and a half after release. But $399 for desktop VR? Tantalizing. Of course, a price drop this substantial has to make you wonder: Is there a new Rift on the way? 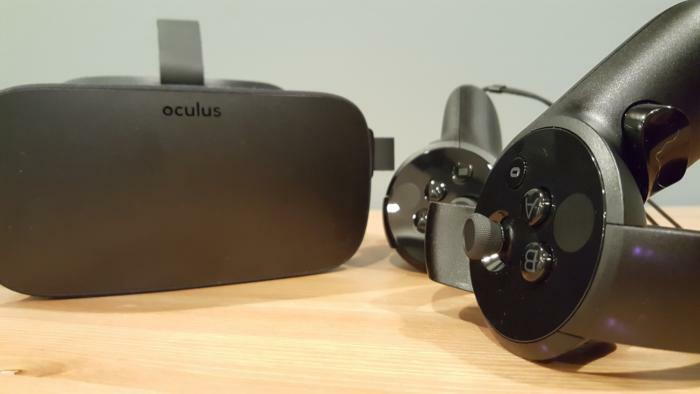 Today’s announcement includes a tease for the fall’s Oculus Connect 4 conference, which would be the odds-on favorite venue for a Rift 2 debut. A $200 price drop just months before? Suspicious timing. I’m not saying it will happen, but it definitely seems possible—likely sometime next spring, around the Rift’s two-year birthday.